These awards are to honor the University of Florida’s international students for their outstanding achievements in academics and service. Nominations due to the Office for Student Services by Wednesday, September 30th. FREE Ice Cream, music, community and lots of COE giveaways – enter to win an iPad Mini! The Graduate School Advisory Council (GSAC) and the Graduate School, in collaboration with the Office of Research and Office of the Provost, are proud to announce the fourth annual celebration of research with Graduate Student Research Day (GSRD). This annual event features research from all graduate students at the University of Florida as well as prominent speakers including a keynote address by President Kent Fuchs. Click here for more information. APA has a series of three 30-minute sessions created just for students and faculty. Our Basic session will help students learn to search APA’s databases efficiently, and our Advanced session helps them dive deeper into search fields and limiters. Lastly, our session on Results Management covers topics such as creating search alerts and other techniques for managing search results. All sessions include live search demos. Peace Corps is a life-defining leadership experience and launching pad for a 21st century career. Volunteers live and work abroad for two years sharing their skills and working to make a difference in their communities. Returned Peace Corps Volunteer and UF Campus Recruiter, Bobbi Stienmetz will present on the value of building intercultural competencies regardless of what field you study and where you ultimately choose to work. The workshop will take place, Wednesday, October 7th from 2:00-3:30pm in the International Center in the HUB. Email Bobbi, at peacecorps@ufic.ufl.edu with any questions. In need of creative ideas to help set up classrooms that will promote growth and development for children in the community and help them to expand their imagination. Please see flyer for further details. Join Teaching for Social Justice (TSJ) for EdTalks: Critical Conversations in Education: A panel discussion on the greatest challenges facing education today and what we can do about it. Panelists include Dr. Ester de Jong, Director of the School of Teaching and Learning and Professor of ESOL/Bilingual Education, Dr. Brianna Kennedy-Lewis, Assistant Professor of Curriculum, Teaching, and Teacher Education, and Dr. Vicki Vescio, Clinical Assistant Professor in the School of Teaching and Learning. The event will take place in the Terrace Room (G400) Norman Hall from 5:00-6:15pm. On Thursday, Sept 24 from 12-1:30pm in the Norman Hall Terrace Room, College of Education graduate students, faculty, and administration are invited to attend the first workshop of a two-part interactive workshop series focusing on how to proactively be inclusive of LGBTQ people and issues within their specific educational context (courses, dissertations, office culture, assignments, etc). Those interested in attending should RSVP here by September 23: http://bit.ly/queeringeducation. Please contact Brittney Beck at grace4@ufl.edu with questions. Teaching for Social Justice will hold a planning meeting on Monday, Sept. 28th at 12:00pm in Norman Hall, Room 2411. Anyone interested in social justice education is welcome to attend. Any Florida college or university full-time pre-service educator in his/her junior or senior year may apply for this grant. The annual deadline for application has been extended to October 1. The grant will reimburse awardees up to $500 for transportation, room, and registration expenses to attend Florida Council of Teachers of Mathematics (FCTM) Annual Fall Conference. Pre-service educators who receive this grant will be required to write about their experiences in a form suitable for one of FCTM’s publications prior to reimbursement. An electronic copy of the manuscript and receipts for reimbursement must be submitted to the FCTM treasurer no later than December 1. Up to four grants may be awarded each year. It is expected that all awardees will be from different institutions. Apply here. Boulware Springs Charter School is seeking a highly-qualified classroom teacher for a 1st/2nd Grade Combination class. The position is available October 5th. Responsibilities include managing a classroom of students, creating and implementing innovative and rigorous lesson plans, monitoring student progress, using data driven instruction to adjust to student learning, teaching character education, creating a warm environment, and working as a team member throughout the school. Application information located here. The Direct Action & Research Training (DART) Center will be hosting an online information session on Thursday, September 24 at 8pm to discuss careers in community organizing with individuals interested in uniting congregations and working for social, economic and racial justice. RSVP at www.thedartcenter.org/sept24. To find out more about DART or to apply, we encourage you to visit http://www.thedartcenter.org. Still have questions? Contact Hannah Wittmer at hannah@thedartcenter.org or (202) 841-0353. Positions start January 11, 2016 in St. Petersburg, Ft. Lauderdale and Miami, FL. Positions start August 15, 2016, in Charleston, SC, Lexington, KY and St. Petersburg, FL. Starting salary $34,000/year + benefits, with regular performance based raises. Fluent speakers of Spanish and Haitian Creole are encouraged to apply. First Generation Life Coach Program – Now Accepting Applications! 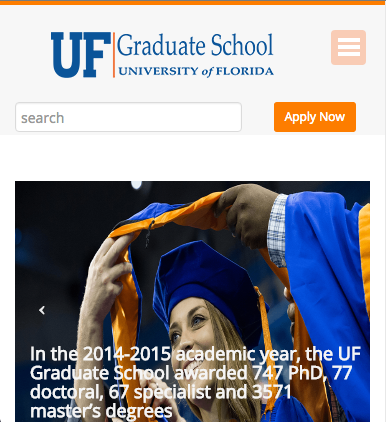 The Machen Florida Opportunities Scholars Program is recruiting UF faculty, staff, and graduate students to serve as a life coach for the 2015-2016 academic year. As our students are first in their families to attend college, they are also first to graduate; we are looking for dedicated coaches to provide students with guidance during this transition. Coaches meet with their paired “coachee” various times during the semester to discuss subjects related to life after college. Coaches will also participate in a brief training in October before being paired. For more information about the program, visit http://fos.ufsa.ufl.edu/programs/fosal/life_coach. Should you be interested in serving as a life coach, click on the ‘apply to be a life coach’ tab on the left of the page and submit a little information about yourself and we’ll pair you soon! Deadline for submissions is Friday, September 25th. We are looking for an advanced undergraduate or graduate student to code video data and conduct other duties for an IES Goal 3 Efficacy trial on embedded instruction for young children with disabilities. We are seeking someone who is available for approximately 20 hours per week and can continue employment through August 2016. Experience with early childhood intervention programs and/or students with disabilities is desired. The position is paid hourly at $12/hour. This is a great opportunity for any student interested in learning more about research and behavioral observation. If interested, please email Dr. Crystal Bishop (crowed@coe.ufl.edu). Alpha Delta Kappa an Honorary International Women’s Teaching Organization is looking to award up to three $1000 scholarships to deserving young women in the field of education. Please see flyer for details. I am interested in possibly hiring a student to tutor for the fall and spring semesters for a one hour session twice a week. There will be at least 1 student (7th grader at Oak View Middle School) and possibly an 8th grade student as well. I think that both can be tutored at the same time. I would like to make sure homework is on track and being done correctly and reviews for upcoming exams are done as well. If interested, please contact sstocks@ufl.edu. The rise of standardized testing has dominated the political discussion surrounding public education for the last decade. Nathan Crabbe, editorial page editor from the Gainesville Sun, will moderate a panel discussion on this important issue in Pugh Hall on the University of Florida campus. Panelists include: Alachua County Schools Superintendent Owen Roberts, local League of Women Voters President Sue Legg and local teacher Susan Bowles and Shan Goff, Florida policy director, Foundation for Excellence in Education. Hey Gators! Are you looking to join a volunteer service organization? Build your resume? Give back to the wonderful Gainesville community? The Red Cross Gators may be just what you’re looking for! As a part of the Red Cross Gators, we act as the liaison group between the American Red Cross (AMR) chapter in Gainesville and the students at UF. We work closely with the chapter and our members get internships every semester. Additionally, all volunteering events through the AMR are available to our members. We also host our own events, including one which educate kids in the community about hygiene and fire safety. Join Teaching for Social Justice (TSJ) for EdTalks: Critical Conversations in Education: A panel discussion on the greatest challenges facing education today and what we can do about it. Panelists include Dr. Ester de Jong, Director of the School of Teaching and Learning and Professor of ESOL/Bilingual Education, Dr. Brianna Kennedy-Lewis, Assistant Professor of Curriculum, Teaching, and Teacher Education, and Dr. Vicki Vescio, Clinical Assistant Professor in the School of Teaching and Learning. The event will take place in the Terrace Room (G400) Norman Hall on Thursday, Sept. 24th from 5:00-6:15pm. These awards are to honor the University of Florida’s international students for their outstanding achievements in academics and service. Nominee list and additional details forthcoming from the Office for Student Services to the Schools. Nominations due to the Office for Student Services by Wednesday, September 30th. Student Museum Advisory Council (SMAC) is a student organization at the Samuel P. Harn Museum of Art that is recruiting creative and committed student leaders who will connect the museum to the wider campus. SMAC members establish relationships with many different students while interacting with museum professionals. Whether you are an incoming freshman who wants to gain experience with art and programming, or a senior who is knowledgeable with event planning, we welcome everybody to apply. Please submit to Eric Segal, Director of Education and Curator of Academic Programs at esegal@harn.ufl.edu by Friday, September 18. Are you passionate about the University of Florida? 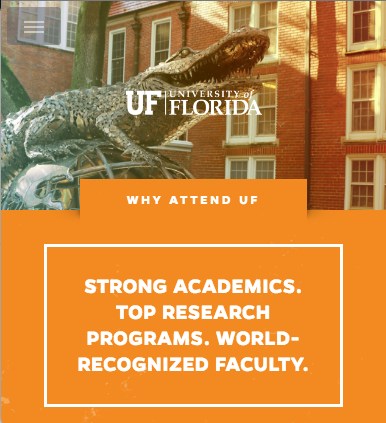 Want to show prospective students why it’s truly great to be a Florida Gator? Then apply to be a Gator for a Day Ambassador! Gator for a Day is a program through the UF Office of Admissions that allows high school seniors from all parts of the country to shadow a UF undergraduate for the day. Ambassadors take shadows to class, show them around campus, and help answer any questions they have about our school. You will be an ambassador for UF and the Office of Admissions. 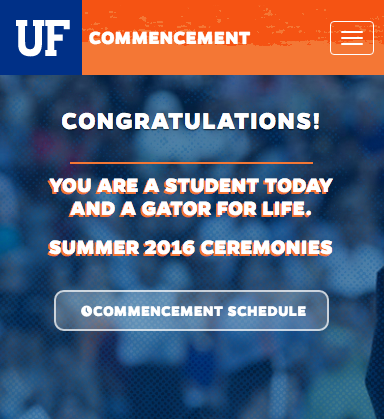 The requirements are a 3.0 cumulative GPA, no academic and/or disciplinary probations, and a passion for UF. We are looking for students that are enthusiastic about UF, involved, and eager to show students around! Applications due Wednesday, September 23rd by 11:59 pm. If you have any questions about the requirements or structure of the program, please feel free to contact us at volunteerambassadors@admissions.ufl.edu. Graphic design assistant– part-time (20 hours). Student is preferable. Web-assistant (content creator for WordPress). Student is preferable. The individual hired for this position will be working for the College of Education to create, develop and manage content for organization’s web presence (requires working with WordPress) maintain a consistent look and feel throughout all web properties as provided by the Web Strategist & Information Architect, and write, copyedit, and proofread web content. This position is part-time ($12/hr- avg. 20 hours/week). This is an exciting time here at Girls Place as we are expanding our enrollment and our programs. To meet our needs, we need additional counselors and an administrative assistant. We will provide on-going professional development, opportunities for growth within our organization, and part-time positions evolving into full-time positions in the summer. We are a local non-profit organization that focuses on integrating children with varying abilities through sports. This semester we are offering two separate programs and are recruiting volunteers that are excited to work with children with special needs! The first one is our Special Olympics Young Athletes Program (YAP) that runs on Tuesday evenings 5:30pm-6:30pm. It is an inclusive program for children between the ages of 2 and 7 years old. During YAP, the athletes work on basic skills like relays, kicking, hitting, jumping, climbing, and many more. Students who are interested in this program can email Shannon Marble, our YAP Volunteer Coordinator, directly at balance180volunteers@gmail.com. The second program is our Adaptive Gymnastics class that runs on Saturday afternoons 12:30pm-1:25pm (for kids 8-16 years) and 2:00-2:55pm (ages 2-8 years). It is a gymnastics class specifically designed for children with varying abilities. We set the gym up in 4 rotations that includes vault, floor, beam, and bars, so that our athletes can work on a variety of motor skills. The athletes have a range of disabilities including autism, Down Syndrome, ADD/ADHD, and cerebral palsy. Students who are interested in volunteering in this program can email Natalie Ziev, directly at balance180adaptivegymvolunteer@gmail.com. Are you looking for a way to become involved with volunteering? Interested in helping to raise money benefiting pediatric cancer research? Interested in gaining a leadership position within a club here at UF? Then maybe Friends for Life is right for you! Friends for Life of America is a non-profit, student organization here at UF dedicated to making a difference in the lives of children with cancer and their families. As students at the Universtiy of Florida we aim to bring together the Gainesville Community for a common cause. Every year we sponsor various programs that seek to improve the quality of life for pediatric cancer patients. Gain valuable volunteer expereince while having fun with kids! Join Teaching for Social Justice (TSJ) for an informal lunchtime chat about newsworthy topics in education. We’ll listen to the NPR story, “Are Traumatized Students Disabled? A Debate Straight Outta Compton,” eat lunch, and just chat. All students and faculty are welcome. Click here for article or visit our Facebook page: Teaching for Social Justice. If you are completing an Elementary or Special Education full-time internship in the Spring 2016 term, applications are due by Tuesday, September 15th. Please submit signed applications to Student Services, G416 Norman Hall by 5:00 PM on Tuesday, September 15th. The rise of standardized testing has dominated the political discussion surrounding public education for the last decade. Nathan Crabbe, editorial page editor from the Gainesville Sun, will moderate a panel discussion on this important issue, Wednesday, September 16th at 6 p.m. in the Pugh Hall Ocora. Panelists include: Alachua County Schools Superintendent Owen Roberts, local League of Women Voters President Sue Legg and local teacher Susan Bowles and Shan Goff, Florida policy director, Foundation for Excellence in Education. The Graduate School Advisory Council (GSAC) and the Graduate School, in collaboration with the Office of Research and Office of the Provost, are proud to announce the fourth annual celebration of research with Graduate Student Research Day (GSRD) held on October 27th. This annual event features research from all graduate students at the University of Florida as well as prominent speakers including a keynote address by President Kent Fuchs. See attachment for more information. A joint venture between the UF College of Education and the College of the Arts, Teach the World-Rome, offers students an opportunity to earn three credits for a short-term, international teaching internship. 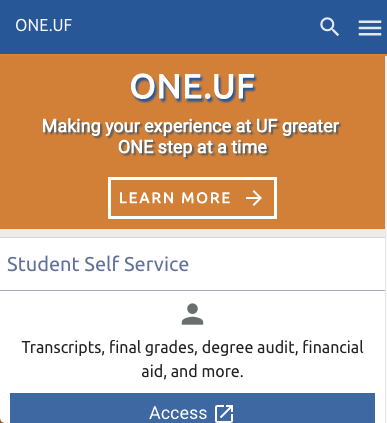 Application details, cost, and other information are located on the UF in Rome flyer. The American Educational Research Association (AERA) is pleased to announce the AERA Minority Dissertation Fellowship in Education Research. The Council of the AERA established the fellowship program to provide support for doctoral dissertation research, to advance education research by outstanding minority graduate students, and to improve the quality and diversity of university faculties. The application is due November 2, 2015. 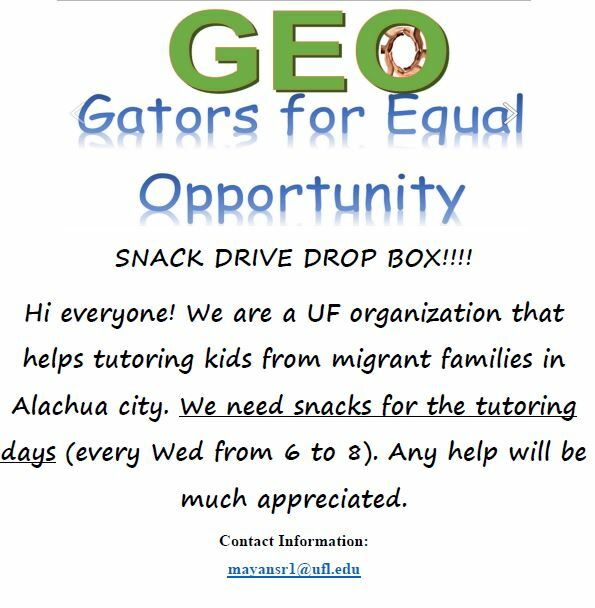 Gators for Equal Opportunity is a UF organization that helps tutor kids from migrant families in Alachua County. They are collecting snacks to provide to the children at their tutoring session. Please consider dropping off a donation in the box located at Library West or at the COE library. The GREEN Program is recruiting for 2016 Winter and Spring programs in Iceland and Peru. Click here for more information and the application. Urgent need for science teachers (physics, chemistry, biology, etc.). If interested, please contact Andrew Oyer, 9-12 Science Specialist, Pinellas County Schools at (727) 588-6075. Someone who can pick our son up at Glen Springs Elementary and take him to our house that is less than a ½ mile away and ensure he is in the house safely. Time would be 1:45 Tuesday and 12:30 Wednesday. In addition we would like to have someone stay with him until at least 5 on Wednesdays. I am an Arab student and study in UF. I want someone to help teach me me English and I teach him Arabic. Email abdullatifam@dzit.gov.sa. If you are completing your full-time internship this FALL as an Elementary, Early Childhood, or Special Ed intern, plan to attend the Professional Orientation Seminar on Wednesday, September 9th at the Kirby Smith Board Room. The session will be from 1:30-3:00pm. Two local principals will share information about interviewing and expectations of first-year teachers. Questions will also be answered about certification. Please join the Education College Council, an inter-club council representing all program areas and organizations in the College of Education, for our first informational meeting on Wednesday, Sept. 9 at 5:30 in Norman Hall, Room 2329. This meeting is open to all undergraduate and graduate students in the college who are interested in getting involved and helping to share ideas and information within the college. Committee positions are available for interested individuals. We hope to see you there! Scholarly Writing (formerly EAP 5845 and EAP 5846) is designed to help international graduate students improve their academic writing skills. The course offers the opportunity to develop the ability to write an academic paper as well as to improve sentence level vocabulary, grammar, and use of cohesive devices and other features of good quality academic literacy. For class schedule, registration, and other information, please visit http://www.eli.ufl.edu/programs/AcademicWrittenEnglish.html. In an ongoing effort to target our teacher recruitment efforts, we ask that you that you please complete this brief Education Student Survey to collect data on students’ preferences and goals as they enter (or consider) the teaching profession. This data will be used to further refine our overall recruitment plan. The Admissions and Student Support Specialist is responsible for two main areas: 1) recruitment of students through creative sources and targeted markets including telephone and online inquiries about the TeacherReady® program; and 2) holistic, success-focused training and management of a generation of personally-developed leads (e.g., current students, outside resources and networking channels and referrals). See attachment for additional details. Seendio.com is looking for an Online English Tutor from a U.S. college or university. English tutors will conduct 1-on-1 interactive teaching sessions from their homes with students and young professionals in China. Visit seendio.com for more information! If you are interested please send your resume to cocoshen826@gmail.com. I’m looking for a math education student to tutor a 10th grade student in Algebra II. It’s only 1 hour/week, but might be more around test times, and you can meet in the Education Library. Pay is $20/hour. Interested? Please contact me at kygress@ufl.edu or (352) 575-5457. UF faculty member looking to hire a reliable person to help during late afternoon/evening 2-4 days a week (Mon-Thurs) for the Fall Semester. Additional babysitting opportunities possible on weekends. Duties include picking up my 8-yr old girl and 5-yr old boy from school and driving them to sports activities or to home and help with homework and light housework at home (emptying dishwasher, making lunches for next day). My children love outdoor activities and having someone to play games or read a book with. Prior experience as a babysitter/nanny required along with at least one reference. Experience providing transportation for children is a bonus. Contact Andrea at adlambeck@gmail.com if interested.